Can measures and displays the temperature of pet. Can measures and displays relative humidity of egg. Display maximum and minimum temperature and humidity memory value. It can clear the memory value and count again. To create a healthy living environment for the tortoise. 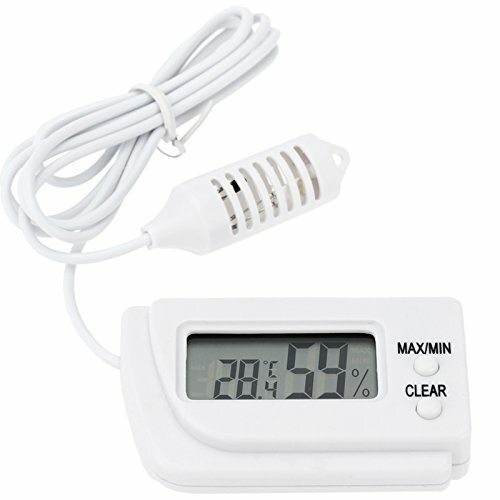 This thermometer is designed for pet hatching eggs, small pet feeding or reptiles hatch.